Running a website in 2018 means being aware and abreast of the current security scene. If you don’t want your site to get hacked you have to be aware of a few basic security measures. This can actually be very simple if you take around an hour to educate yourself and implement some security practices. Most blogs and websites these days are run by WordPress. Learning how to start a blog has become easier and easier thanks to the advent of better education as well as having the process become easier thanks to WordPress specific hosts such as Bluehost. However, out of the box WordPress can be a bit shaky when it comes to security. As someone who has had their sites hacked multiple times, it’s better to take an hour now than to lose time and money later on. When you start your WordPress blog you will be given a username. By default it’s set to “admin” but this gives hackers an easy starting point to hack your blog based on one piece of the login. You can easily change your administrator name. You might have to create a new login with admin rights first, and then delete the old one. Just go to “users” on the left hand menu and create a new one with Admin rights. Name it something unique, and add numbers while you’re at it to make it harder to guess for a wayward hacker. Using “Wp-admin” as the login url also makes it much easier for hackers to breach your website. By changing the login url you add an extra layer of security so that your site login can’t be found easily, meaning it’s less likely that you’ll be hit by a brute-force login hack. Following this guide you can easily change the URL. However, we urge you to make a backup of your site first before making any major changes. Elegant Themes also has a great guide on changing the URL. We have used WPS Hide Login to hide our login pages on all of our sites. This is a very easy and important step in terms of ensuring your site’s security. Another very easy step to take is to install one of the very good WordPress security plugins that are available out there. Many of these have a free version that will give you basic protection. If you don’t do this then you’re just asking for it in my opinion! Better WP Security is a great one, as is iThemes security. Simply go to Plugins –> Add New Plugin to search the WordPress database for these plugins so you can be sure you’re getting them from the most reputable source. The basic and free security settings from these plugins will be enough for you to easily ensure that your blog is protected from 90% of attacks that are floating around out there. Remember: it’s easier to take about an hour now to ensure your site is protected than to have to deal with a hacked site. When hacking first became a thing, people didn’t even know how to properly define it. It was a very niche pursuit, known only to a handful of people. Since computers were not as widespread, and the internet hadn’t really come of age, hacking wasn’t something that you could really make too much use out of — at least for most people. MARIN COUNTY, CA–The first Hackers’ Conference convened under ghostly lantern light in a chilly former army barracks, continued through a daylong drenching rain and ended in a chapel. In the end, it seemed possibly the oddest, brightest and most contentious group assembled since the Continental Congress, with no two of its 150 participants able to agree on anything, except that it had been absolutely wonderful. Hackers are those brilliant, driven, often socially inept individuals (almost all of them men, for reasons no one has successfully explained), whose idea of fun is to fiddle compulsively with computers. From the MIT Artificial Inteligence Lab of the late 1950s to Silicon Valley of the 1980s, hackers have devoted their lives to computers: making them faster, smarter and, in many cases, advancing the state of the art. Author/activist Stewart Brand (editor of the Whole Earth Software Catalog) organized a get-together for them after reading an early copy of Levy’s new book, Hackers: Heroes of the Computer Revolution ($17.95, Anchor Press/Doubleday). Invitations were sent to 500 well known hackers, many of whom are featured in Levy’s book. During the weekend of Nov. 9 to 11, 150 of the biggest names in hacking gathered at the former army base now converted to a national recreation area on the coast north of San Francisco. Before registration was finished, the hackers had already begun a passionate three-day marathon of arguing, “blue-sky” philosophizing and just plain hacking. Apparently, no one on earth speaks quite so well of at such length as a hacker absolutely convinced of the correctness of his position. “I was just speculating aloud whether, if someone set off a hand grenade, it would set the computer industry back five years or advance it,” Brand quipped early on. It sounded, on the other hand, like the weirdest, most high-energy science-club meeting imaginable, one occasionally punctuated with the offbeat humor and cackling laughter that have gotten hackers tossed from locker rooms and fraternities all over America. What an article! 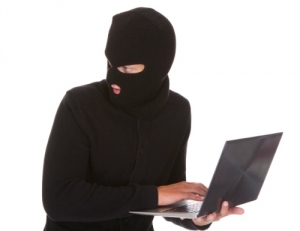 “It’s interesting that hacking had such a bumbling start – more like a hobby than a closed door pursuit” says Bill Gordon, editor of www.wehatemalware.com, an online blog that documents hacking and other malware concerns. Hacking is most certainly becoming a profession of sorts, with the various bounties becoming more and more common. Hacking even has a light and dark side, as well as a more “in the middle” gray. Here’s a real doozy of a video to watch: an old documentary about the SAGE cold war computing system. Check this out for a great look back at how computers were used back in the day. Computers in war have been a fast and ever-changing subject. There is always a race to come up with the most advanced and improved computerized warfare systems, and the race is still technically within its infancy in the grand scope of human history. When looking into the past (which really isn’t that long ago) it’s good to see how things have evolved. “Acknowledging that a “large part of the computer industry makes money from the Defense Department,” Ornstein said he expects that even some defense workers will join CPSR, even if anonymously. So far the group has met with little resistance from the industry except for what Ornstein calls “disgraceful” treatment by the Association of Information Processing Societies (AFIPS), which runs the annual National Computer Conference (NCC). As he tells it, CPSR applied “well in advance” of the 1983 NCC for permission to set up a stand in the show’s lobby. Hearing nothing from AFIPS, the group reapplied and, finally, on the opening day of the show, it received a note from AFIPS denying permission. Asked about the incident, AFIPS did not respond by press time. Meanwhile, CPSR has applied for admission to this year’s NCC, which is to be held in Las Vegas next July. “There is apparently a giant fear on the part of industry that organizations like this will rock their boat,” Ornstein says. 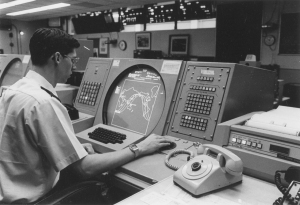 CPSR is not alone in questioning the application of computers to nuclear weapons systems, however, nor is it the first organization to do so. In 1970, a group of distinguished computer scientists including Daniel McCracken, Joseph Weizenbaum, and Paul Armer formed Computer Professionals Against ABM, which argued publicly that a proposed antiballistic missile system would be vulnerable to intractable computer problems. In 1982 a small group of people formed Computer Professionals United to do the same sort of tasks in which CPSR is currently involved. Several of its members have now joined CPSR. Meanwhile, in Cambridge, Mass., High-Technology Professionals for Peace is working to find nondefense-related jobs for computer workers and others. That demystification lies at the center of CPSR’s goals, suggests Ornstein. “Most of us believe science and technology are important, but they need discussion. There’s probably too much faith in technology. It’s not going to solve all the world’s problems. Verity, J.W. “Nuclear War & the Computer.” Datamation Feb. 1984: 50.